Available May 2019! Location Location! Retreat to this beautiful 3BR/2BA Villa in the Village of Tamarind Grove, Southern Star Villas. 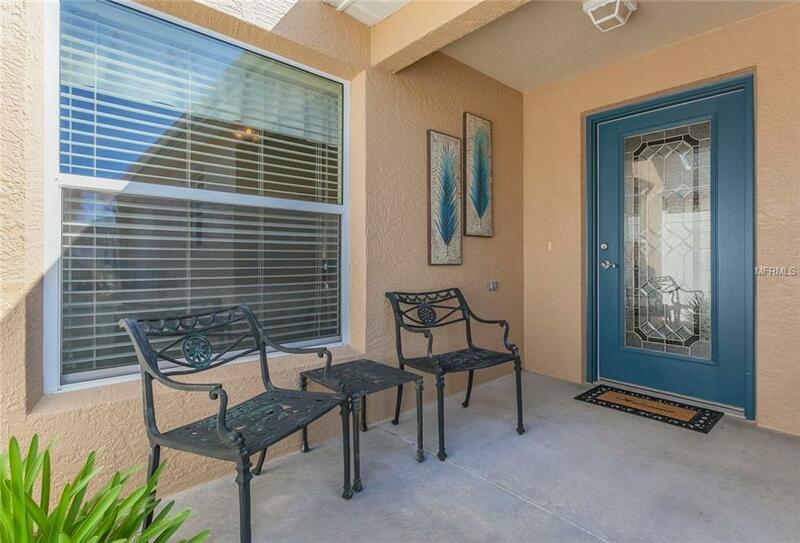 Fully furnished with tasteful coastal decor, you will love the convenience this home has to offer. 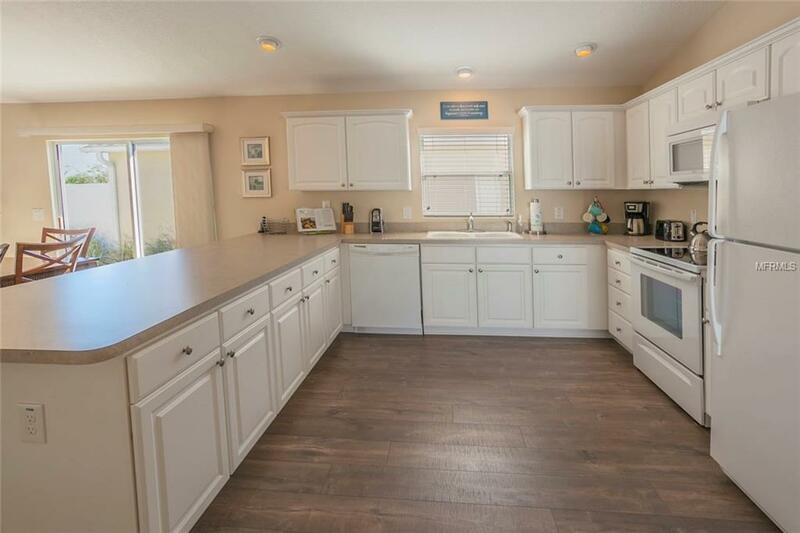 The open floor plan is highlighted with high quality Laminate flooring that blankets throughout, a living/dining room combo, screened/covered lanai, 1-car garage, and interior laundry room. One of the guest rooms is currently set up as an office/den, with dark wood built-in cabinets, and a pull out twin couch/bed. The other guest room sits off of the dining area, with access to full bath. The Master Bedroom has its own private bath with shower, walk-in closet with custom storage shelving, and a Queen size bed with an adjustable base. 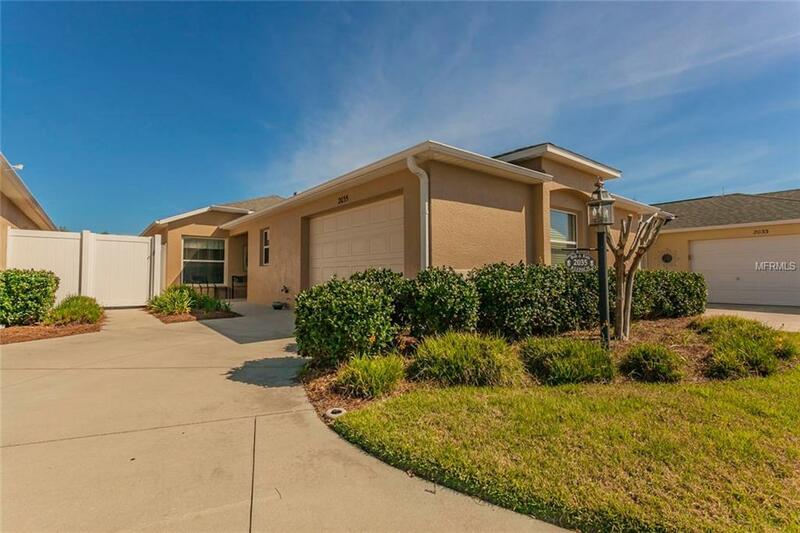 This home is situated next to Southern Star Executive Golf Course, is a short drive to Sandhill Executive Golf Course, and you are also just minutes from the SeaBreeze Pool and Recreational Center! Best of all, Pinellas Plaza, Brownwood Town Square, the new Lowes, and soon to open Aldi's is right nearby! You will have shopping, entertainment, grocery and much more right at your fingertips! This home won't last long so book your next "stay-cation" today! (No pets, No Smoking.) Seasonal Rates Vary by month.